We assist organizations with automotive documentation (e.g. mechanical and electronic systems material including catalogs, training manuals, service manuals, diagnostics manuals, technical bulletins, warranty books, etc.) used by dealerships, auto sector engineers and technicians, and supply chain participants that is written in the English or Spanish languages and requires accurate translation into French. Our translators, editors and proofreaders render well-written and clearly understandable texts. We place a high value on rendering a finished product that is faithful to the technical (i.e. automotive) as well as cultural nuances of the target language text, where such may apply. We assist businesses in finding the best available French to English and French to Spanish Automotive translation resources – including experienced freelance translators familiar with automotive jargon (actual current or former practionners in the field automotive if appropriate or required). In our experience, a target language native-speaker may not necessarily be the right freelance automotive translator for the job. (See: Common myths and misconceptions about translation.) Though a native-speaker may be preferable for certain translation assignments, having native language skills may not 'translate into' automotive jargon expertise (pun intended). An experienced linguist with strong Spanish and French or English and French language translation credentials, in-depth experience and professional credentials in automotive, regardless of native language, may often prove to be a better choice. In a nutshell, we use professional translators who have a solid mastery of the language used in the automotive sector (grammar, spelling, technical and cultural nuances) and a solid understanding of the subject matter. If we cannot secure the appropriate resources, we will do our best to refer you to automotive translation sources of information that we have confidence in. In addition to providing translation services from any language into the English language, we can also assist you with the translation of French language material into the world's most popular languages: French to Chinese; French to Arabic; French to German; French to Japanese; French to Portuguese; French to Russian; French to Korean; French to Italian; French to Hindi; to name but the most popular.... We can source translation expertise for virtually any language pair. Written in English with Spanish translations, this versatile book is an essential glossary and tool for anyone within the commercial truck driving industry, as well as in industries that interact with commercial truck drivers. Administrators, students, supervisors, agency officials, police officers, and DOT field personnel, along with professional commercial truck drivers can easily carry and use this handy bilingual resource in all phases of work relating to commercial truck driving. This includes inspections, exams, skills tests, classroom training, and more. A must-have dictionary and reference, it can be utilized for better understanding of terminology, resources, regulations, safety requirements, and hazardous material regulations. Businesses that operate along the US/Mexico border and in Latin America, where English as a Second Language (ESL) is required, will also benefit from this excellent guide. 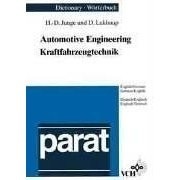 Translators, students and newcomers to the field will find in this dictionary the assistance they need to understand German texts in automatic engineering. Compact and still comprehensive, the dictionary contains a representative cross-section of the most important automative engineering terms which are often supplemented by definitions or explanations. Numerous examples for creating useful combinations of words add to the usefulness of this indispensable reference work. 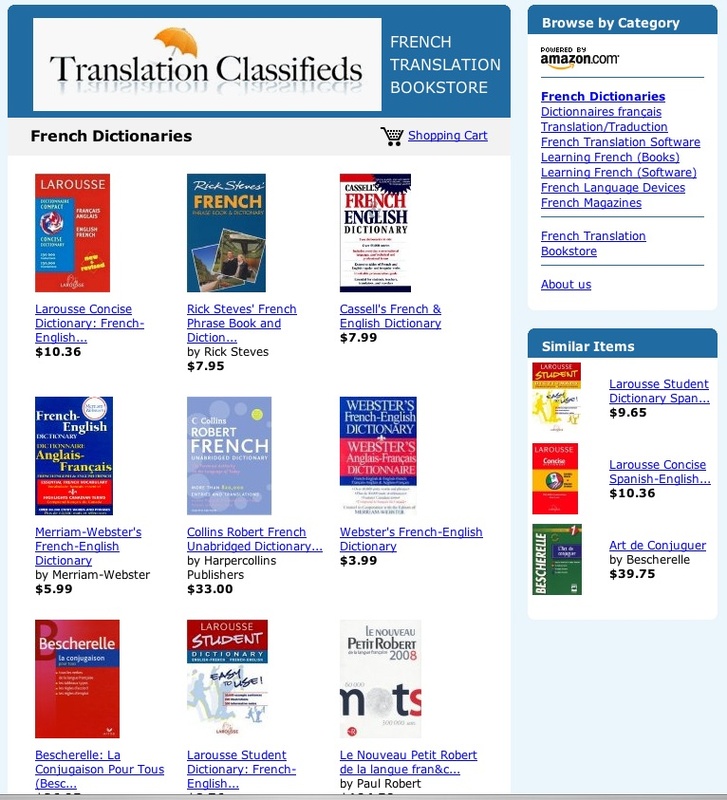 Everything the web has to offer in terms of bi-directional French dictionaries, French reference material, French translation software and hardware that is of particular interest to translators working with French, as well as the French translation and linguistics community can be found in the FreeTranslationClassifieds.com French Translation Bookstore.